• Are you looking to buy your dream Spanish home? • Are you relocating to the Hondon Valley area? • You don’t know where to start? DON'T WORRY... Hondon Villas will take care of you. We can help you all the way. The staff at Hondon Villas offer you, the buyer a NON-PRESSURISED, PROFESSIONAL and FRIENDLY PROPERTY SERVICE exclusively in the Hondon Valley area. We have been selling houses in Spain for over 10 years! We always aim to offer you a property service that reduces the usual stress of realising your dream home on the Costa Blanca South, Spain. We operate from our high street office in the Hondon Valley area. 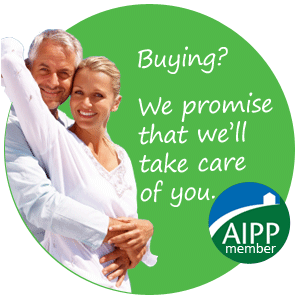 We give you 100% of our attention and are backed by the AIPP's code of conduct. We are Hondon's Safest Buy, Spain. ﻿Hondon Villas AIPP page | Read more about the AIPP and its service standards. We are Hondon's trusted local agent with local knowledge. We have known and lived in the Hondon area for over a decade. Our real estate office is in the quaint Spanish village of Hondon de los Frailes (in the main Plaza) and we have 30+ years of experience in real estate property markets (UK & Spain). We employ multi-lingual staff. You are making a good decision by choosing a local, knowledgeable & experienced agent like us. We have already helped countless buyers from all backgrounds and nationalities find their perfect villa in the Hondon Valley. The praise we receive is always a reward. We truly do have many clients recommending our service to friends and family. All our staff have ALREADY purchased or rented their own properties in the Hondon area. THEY KNOW about moving and living in Spain and all the issues that entails. We know the local bank managers, town hall staff, shop keepers, bar owners, restaurants and much much more which is knowledge you can benefit from. We believe our service is second to none in the Hondon Valley area. We give you honest advice and DO NOT PRESSURE YOU into a buying decision. We can set your mind at rest by giving you impartial and unbiased advice, show you the area and numerous properties. We will then talk you through the property buying process. We can help with finding your dream villa to the more mundane things like paying your electricity bill or registering for a Padron or NIE with the local town hall. We can give you the insider knowledge you’ll need to be "living the dream" in the Hondon Valley, Spain. At the time of writing, Hondon Villas are the only locally based AIPP registered agent with this prestigious professional membership we now have the right to show the green/blue AIPP badge. Which of course we do with pride. Please feel free to contact us or visit our REAL ESTATE OFFICE in the Hondon de los Frailes Plaza (next to the Pharmacy).